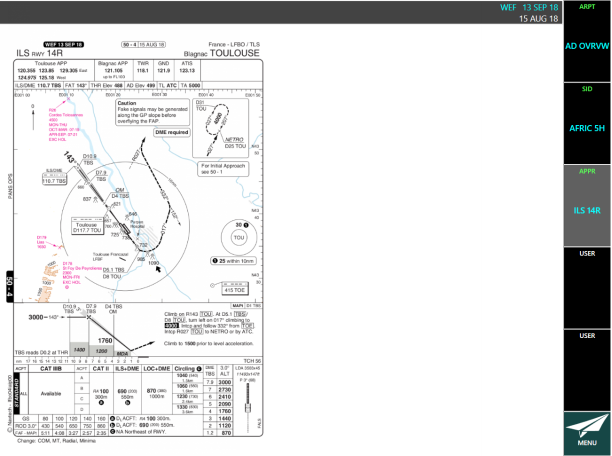 This will teach you how you can assign a chart to ARPT, SID, STAR, APPR or a User tile. It will also cover the presentation for temporary charts. You can assign charts to preset categories within the application making it easy to go direct to the chart rather than searching through a list of charts. 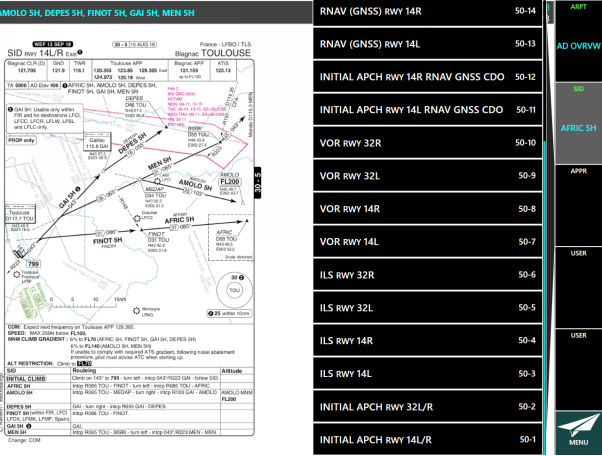 Tile assignments and per-chart viewing options are saved until you change them, change the chart or reset the charts on the route. 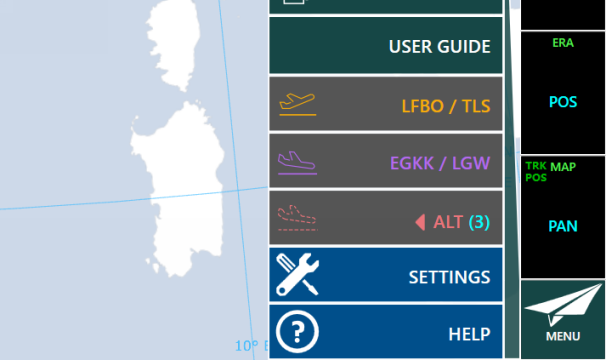 You can reset all the charts, tile assignments, and options by selecting a new aerodrome in the DEP workspace or by closing and restarting Charts+ Windows and following the prompts to reset. Tile categories determine which charts are available for assignment to a tile. Pre-set categories cannot be changed. Let's go and assign some charts to our ribbon tile. Charts tile ribbon where your assigned charts will be available. 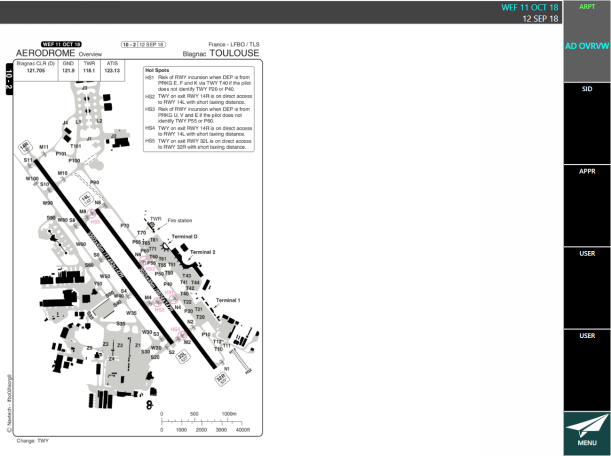 We need to first access one of the FROM, TO or ALTN aerodromes to charts screens. Five category tiles will be available for you to assign your chosen chart to. The category cannot be changed. Select the category that you want to assign a chart to. The gray box means you are focusing on the ARPT tile. A list of all the available charts for your current ARPT. 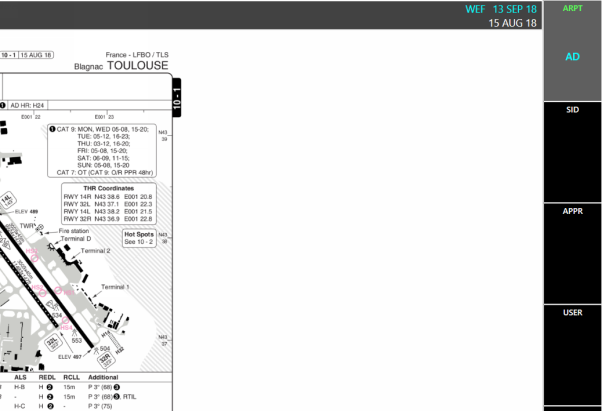 In this example we have a list of all the ARPT charts you can choose from. If the list exceeds the space available, use the sliding up and down, or the scroll on your mouse to view all charts. 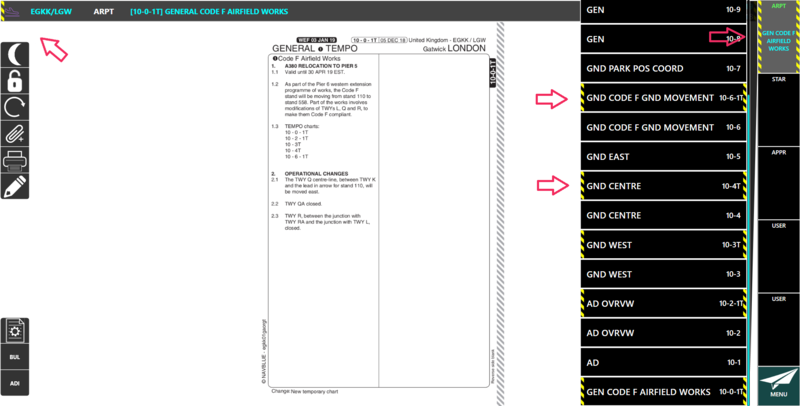 Click the AD OVRVW 10-2 list item. You can now see the chart you just assigned. You can change the assigned chart simply by re clicking in the tile. Let's go ahead and assign a departure chart. 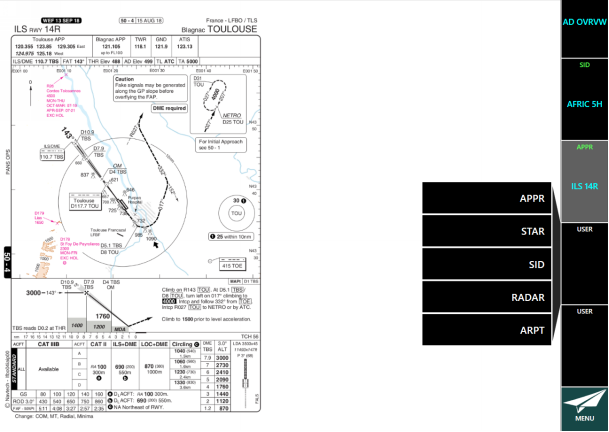 Not all types of charts are available for all aerodromes. 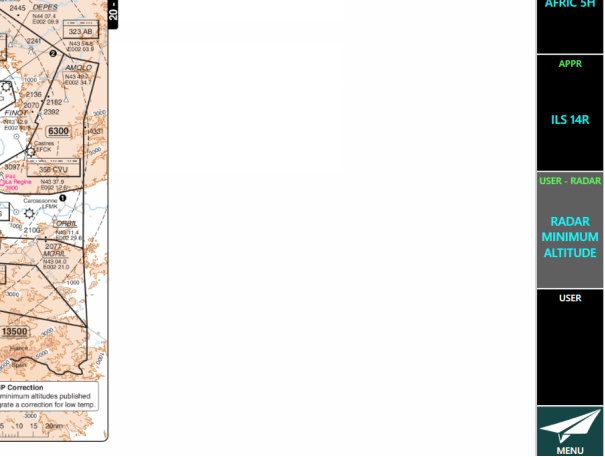 For example, STAR charts are not published for all aerodromes by the civil aviation authorities. "NO CHARTS" are displayed under the tile's title if there are no charts available. 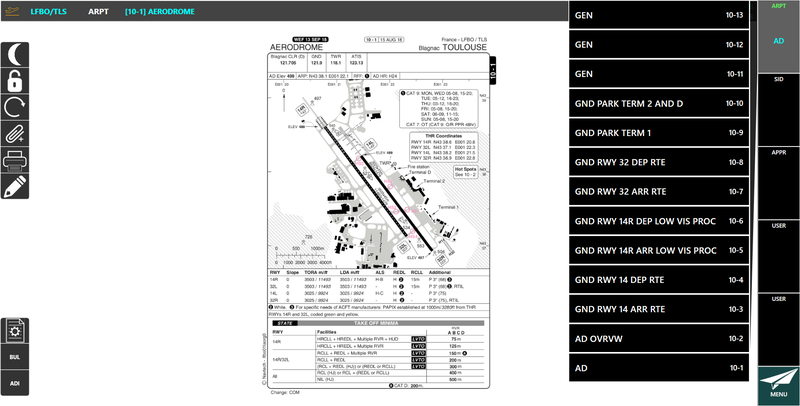 If you were looking at an arrival aerodrome the SID tile would be a STAR category tile instead as shown above. 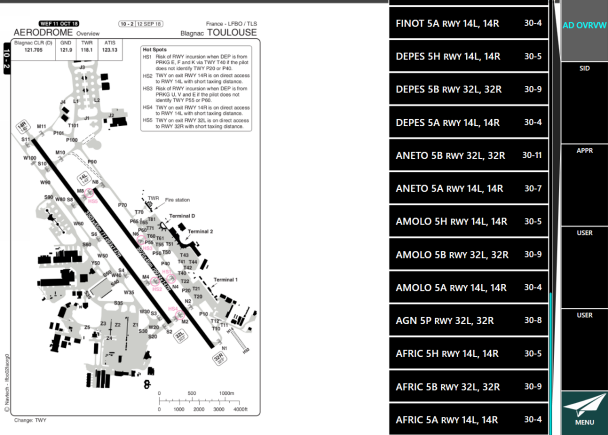 Click the AFRIC 5H RWY 14L, 14R 30-5 list item. 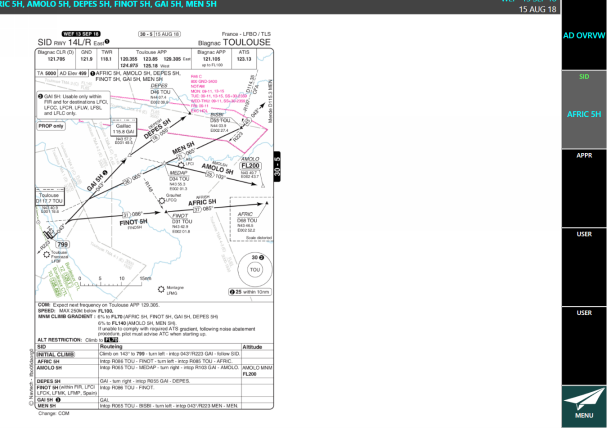 Click the ILS RWY 14R 50-4 list item. You have added three charts to the three different categories ARPT, SID, and APPR. We will now have a look at assigning to the USER tiles. Assigning to the USER tiles will mean that you can pick any of the available categories to use. You can select which category you want to assign to the tile. Let's have a look at the charts under Radar. Click the Radar list item. 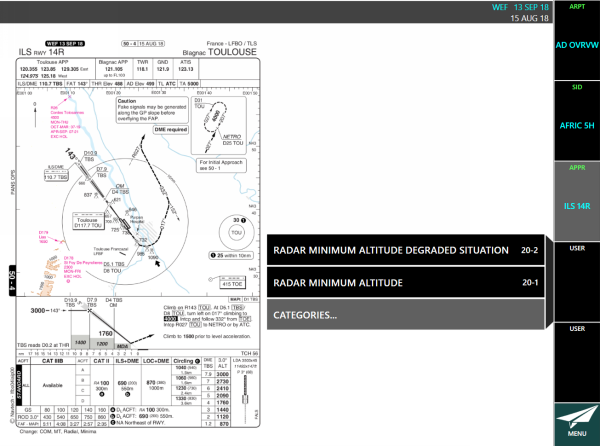 Click the Radar Minimum Altitude 20-1 list item. After your selection you will notice that your tile changes to reflect your selection. Temporary charts might be on your list of charts to choose from. The charts are marked as temporary with highlighted yellow in the list of charts, on the menu button and on the top banner as indicated by the arrows.